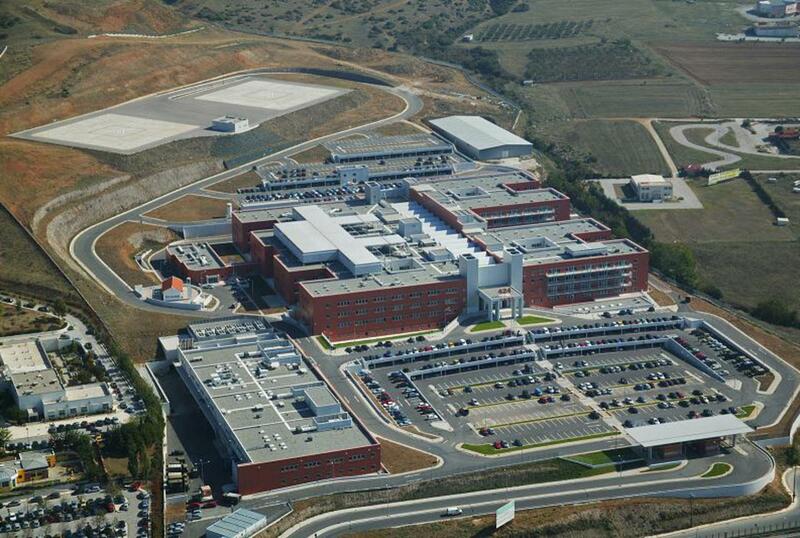 The hospital complex is built on a 168,000m2 property with a built-up area of approx. 100,000m2 and serves the whole area of Northern Greece. 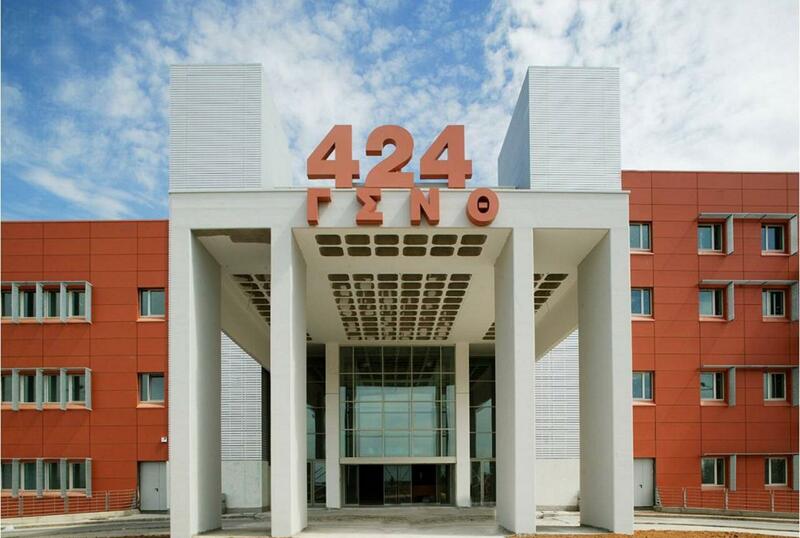 The complex is composed of the Main Hospital Building, The Radiotherapy Building, The Technical Support Building, the Exemption Center, Auxiliary Buildings and two helipads. 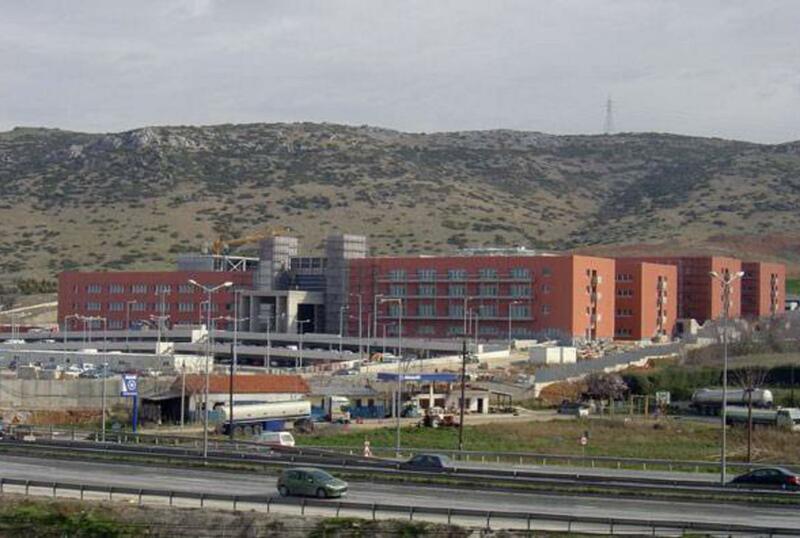 The Main Hospital Building, built with two basements, a ground floor and four upper levels, fully accommodates 414 beds and houses a number of departments, such as Intensive Care Units, Diagnostic and Treatment Departments, Operating Theaters, Nursing Wards, Prisoner Care. 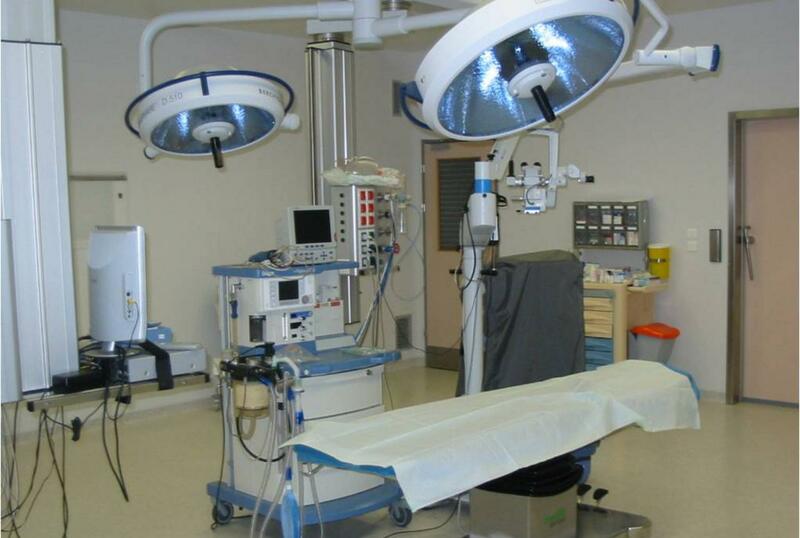 In the lower basement of the Main Hospital Building, a "Sheltered Hospital" has been constructed, according to very strict technical specifications, that includes amongst others 8 operation theaters, 290 nursing care beds and 96 Intensive Care Beds. In case of warfare, the Sheltered Hospital can afford a complete 14 day energetic and electromechanical autarchy. E.P.C. contract.